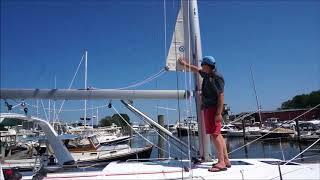 You will find below a series of short videos designed to illustrate features and/or tuning of the sails. These will generically cover many of the past and present Beneteau yachts. A quick look at the components that make up your internal mast furling system. 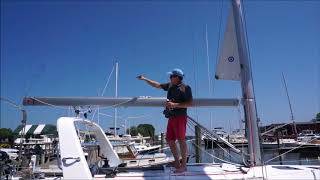 An overview of the components of the internal mast furling system and how to keep it lubed and operating smoothly. 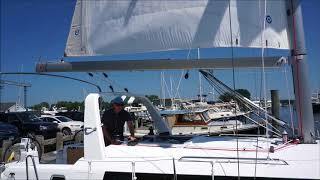 A short video illustrating how to furl and and unfurl your inmast furling mainsail. A short reminder of the importance of furling your mainsail into the mast so only the U.V. protection is visible. 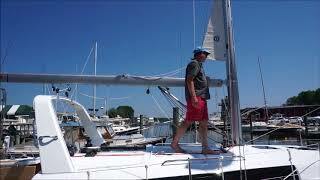 A short video on installing and removing vertical battens in your furling mainsail.